Her IMDB has 43 directing credits, and that’s just the ones she owns up to. 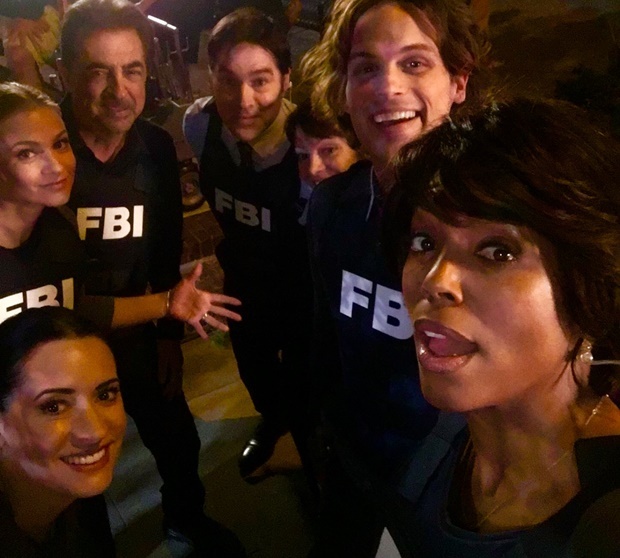 Besides our beloved Criminal Minds, shows like Leverage, Blue Bloods, Burn Notice, The Mentalist, Pretty Little Liars, Blindspot, and The Librarians are just the tip of the iceberg with this prolific artist. You could say, and you wouldn’t be wrong, that Hollywood is in her blood. Here’s what Tawnia had to say on the phone, as she graciously gave up part of her Sunday to talk to me, and to you. TJ: Delighted to be speaking with you today Tawnia – am I saying that right, is it Tawn-ya? TMc: Yes, you are! My mother stuck a W in there because she didn’t want people calling me TAN-ya, because Tanya Tucker was popular at the time. People have a hard time with it. At least you can say it, some people start with “Twuh-“ then they get stuck. TJ: I can relate, people always want to call me Tah-ri, but it’s just Terri. Never could get balloons or little license plates with my name when I was a kid. TJ: Okay, I’d like to start out by talking about your origins. Did you grown up in LA? TJ: And I see your father was Stephen J Cannell? What was it like growing up with such a creative force? Were you interested in what your dad did at all? TMc: You know what, I wanted to be an actress. I’d go up into the attic and pull out old Rockford Files scripts and read them with him, but he was not a big believer in children acting and so he did what he could to keep us away from his other life. I knew him as “dad”. I’d go and do things like screen tests for pilots and stuff like that, but I wasn’t on the set all the time. TJ: When did you decide you wanted to follow the directing path? Was it an “a-ha!” moment, or a gradual progression? Did you go to school for it? TMc: Drama major at University of the Pacific in Stockton, CA. I got into USC, but because I was 18 and wanted to get away from my parents, I went to Stockton. It was all theater, which actually was one of the best things I could’ve learned, because there was nothing like movie or tv up there, we had like 7 majors. And I’m dyslexic like my father, so I couldn’t ever get any parts because I can’t cold read. Even today when someone wants to give me a part it’s the only thing I won’t do. I start sweating, I feel like I’m back in high school. So basically I wrote a play and directed it for my directing class and that’s when I fell in love with directing. Not so much when I was doing it because my sorority sisters were in it and they weren’t actors, so I had to figure out how to get performances from them. It was the day before the performance and it just wasn’t working and then at the dress rehearsal it just fell together. People laughed when they were supposed to, it just all came together, and it was magical and I got bit by the bug right then. TJ: Virgil was a supervising producer on ER, and Janine and Karen Maser were writers there when you directed your episodes. So you’ve been part of the CM family even before there was CM? Was there any kind of shorthand with the writers left over from the ER days? TMc: Yes, that happens when shows are over, and it’ll happen when CM is no longer on too. People tend to travel in packs. So like, I didn’t direct a CM episode for Janine, but I did with Karen and Virgil. But we all kind of knew each other, I was on the ER softball team so we knew each other from that too, even if we didn’t get to work with each other on that show. 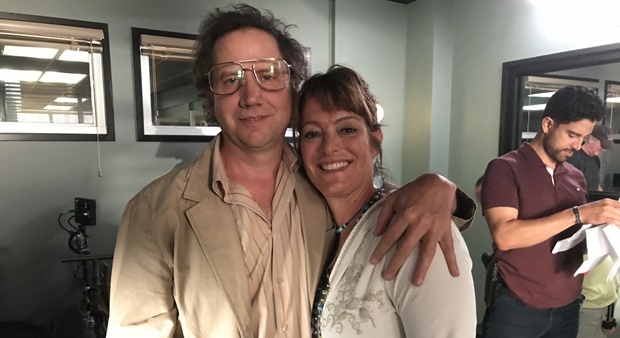 The great thing about working on Criminal Minds is that you get to prep with your writer, so you become a team, so like with Virgil by the second time we worked together we did have a shorthand. There’s a certain amount of trust you build, and then when you work with other writers, they talk and tell each other how I am, so it makes the whole thing easier. TJ: The vigilante episode, correct? TMc: Yes, the vigilante episode. The actress that came in had only one credit on her resume which was a stand in on House of Cards. And she did the read and I saw something in her, and Virgil said to me “Look, I trust you, because that’s your area.” Sometimes people like to see something on the resume, but Virgil trusted my ability to see something, a spark in her, and she got a big guest-starring role. It’s such a partnership, like I did two episodes with Breen, too, and that’s what’s so great about Criminal Minds is that you’re there to protect each other in terms of what the final product is going to be. TJ: That’s so cool, I love hearing that. You’re both a movie and television director, how much would you say ‘the bottom line’ affects your art? Is there a huge disparity between the two? TMc: Primarily TV, I grew up in it, each show has its style. But basically how I view my job is that I’m not there to make a movie out of someone’s episodic tv show. Because there are certain things that are established. Like I wouldn’t go in and mess with the way they do the profiles. The fans like it and it’s not my job to go in there and totally reinvent it. TJ: Since you mention the profile, some of us actually miss the old way they presented the profiles, because the new way is like they just go on down the line and everyone gets to say a line. Before there was more interaction with LLE and kind of a give and take there, and it’s not there any more and I think it has to do with the team being so big – but that’s neither here nor there, please continue! TMc: You know I do think they’re trying to get back to the old way, because a couple times I did transition with flashbacks and stuff like that, and I’m being told that that’s more like the old way of doing it. But that’s the thing, if I have an idea for the profile, I’m not discouraged from doing it, but I’m not going to change it up dramatically because it’s a core thing within the show. TJ: So that’s how you express your creativity, your art. TMc: Yes, that’s right. I’m a collaborative director and my job is to get the best out of everyone, the actors, the set designers, the writers… my job for that one episode is to tell that story in the best way that I know how to tell it. But I can’t tell it without all those people. I find that when people feel valued, then the job ends up being that much better. It’s not just me. It’s all of us working together for a common goal. TJ: How do the mechanics of your directing style differ depending on genre? For instance like Psych, a comedy, vs Criminal Minds, a serious crime drama? TMc: It’s all based in story, so it doesn’t really change. If a show has a particular visual style, I’ll watch as much as I can beforehand so that I can think in the language of that show, but to me it all comes down to story and how would they behave in being hit with what’s happening. Like if there’s fingerprints on a glass, I may start with a shot of the glass, then pan up to the guy who doesn’t see it, and then I’ve just told the audience that information. There’s little things that you can do to clue in the audience where they don’t even notice it. One of the things I love about Criminal Minds is when I can really get in the mind of the UnSub. Like when I can really try to understand why the Unsub is doing what they are doing. That’s what fascinates me and I think it also fascinates a lot of other people. And by the end of the episode Protection, I think we gave the audience some of what was going on in the Unsub’s head and maybe made him a little sympathetic. TJ: Gotcha. I guess I was wondering about the beats, and how they’re different between like say drama and comedy. TMc: There are certain rules, like in comedy, two-shots work best. Because you’re getting the laugh off the second person’s reaction to what the first is doing. TJ: With all the intensity you corral at work every day, (Paget says it looks like getting pecked to death by a thousand chickens), how do you unwind and de-stress? What do you do when you’re creatively spent to refill that gas tank? TMc: Well one of my hobbies… I’m a painter. I paint in oils, I love photography, art shows. I don’t view myself as a director, I view myself as an artist. Being in nature also keeps that creativity flowing. I also like going to cafes and just watching people, especially if they are having a fight. I feel like I learn from that, and can use it to store later. Mark Tinker once told me that you have to have lived life to tell the stories you want to tell. TJ: As a woman working steadily in a field that’s historically and predominantly male, what are some of the accomplishments you’re most proud of? Have you experienced much pushback from people who have pre-determined ideas of what you are capable of because of your gender? TMc: Well, yeah. There’s this idea in Hollywood that if you’re a woman you can’t do action. I always just say “Hey, I like blowing up a car just like anybody else.” There’s these stereotypes that I think women have to fight through. 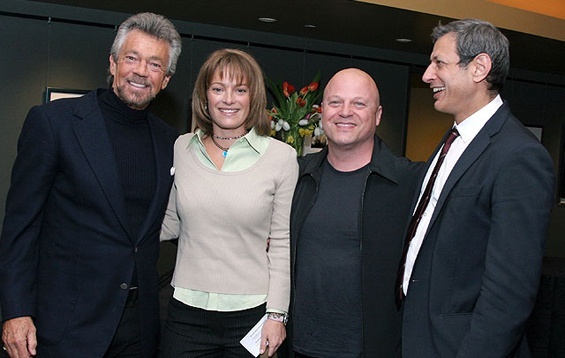 And because I’ve been doing it for so long, I was always the one woman on the show, and was called the “token female”. It’s so nice to see that there are more women getting opportunities to direct. You shouldn’t be looking at percentages, you should instead be looking at how many types of people out there are directing. If you don’t ‘do well’ out the gate… there’s this thing that’s said: “Yeah we had a woman director and she didn’t work out very well.” Like one woman represents us all. We aren’t interchangeable. And you’re gonna have different, both men and women directors, and you’re not going to like everybody. 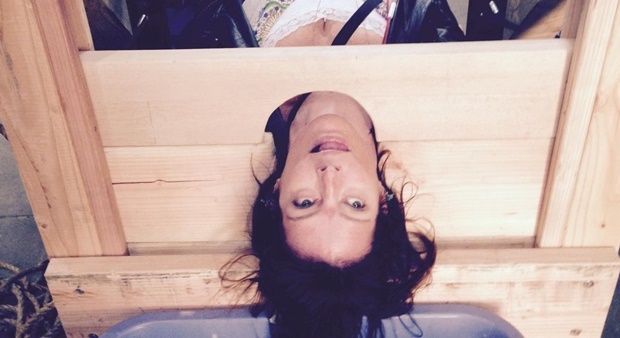 Not every director fits on every show. I think that’s one of the hardest things about being a female director, which I do see it’s changing, but there is definitely this idea that we are somehow limited because of our gender. TJ: I hope it continues to push forward, directors like Ava DuVernay, Kathryn Bigelow, Hanelle Culpepper are doing great things, and proving that preconceptions regarding gender are ridiculous. TMc: Yes, and Criminal Minds works really hard on having it 50/50 men and women. I think having Erica Messer running the show makes a difference. TJ: Right, when I interviewed her she did say that. That having a woman making those decisions creates more opportunity for it to occur. TMc: It totally does. And I think if we support each other we’ll end up moving forward. But CM has always been, you know, Glenny and Harry… there’s no issue with that. You get on other shows, especially action shows I find, there’s this idea that women can’t accomplish it. But that’s where I fell into. Drama, action, visual effects is what I do. I mean, I can do everything, but those things are more what I’m known for. So I’ll get those bigger shows that have the stunts, the effects, because I’ve proven that I’ve been able to do it. To be fair, there is a lot of money involved, so they want to be sure whoever they hire can deliver. What I have issues with, is that you shouldn’t be looking at someone’s gender. When I directed my first NYPD Blue I was 8.5 months pregnant. TJ: Wow. It obviously didn’t stop you! TMc: Yeah, and to Mark Tinker’s credit, I was pregnant when I interviewed for the job and of course I did a lot of observation, but he didn’t… it just wasn’t an issue with him. I’ve walked into jobs before when I was pregnant and they just took one look at my belly and it was like, “Next”. So yes, you do have to continually prove that you can do it. TJ: Do you have any directing contemporaries you look up to? TMc: Ha, of course, you ask me that question and of course every name flies out of my head! No, I love Leslie Glatter, directing producer on Homeland, Roxanne Dawson is amazing, Janice Cook is an incredible director, and Bethany Rooney is unbelievably good. Karen Gaviola is actually the one that referred me to Criminal Minds originally, and Terrence O’Hara, who everyone knows, got me in to CBS. TJ: During these dark days, do you feel audiences need their heroes more than ever, and is that something you’re conscious of when you’re directing our heroes on CM? TMc: Everybody needs a hero. 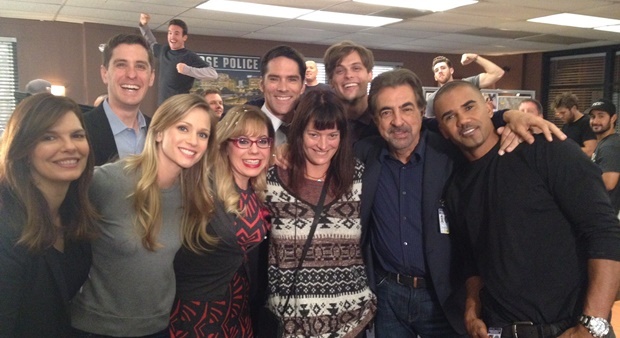 People love Criminal Minds because it’s a family, you know. Those characters are a family. I’ve been fortunate to have been there when Derek Morgan came back, and I did Black Queen, Penelope’s origin story. 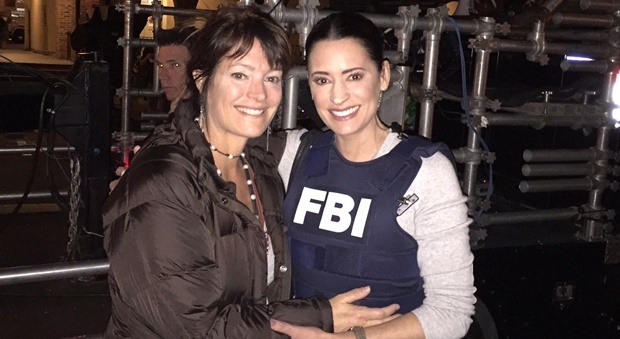 I got to bring Paget back, which was great. TJ: That was in Tribute, right? TMc: Yes, Tribute, that was great. I think people love to have heroes, but they also like to know that their heroes have the same issues they have. TMc: That they’re human yes, and that they succeed. That their favorite character can go through this situation and come out on the other side succeeding. It gives them the idea that they can come out of whatever it is they’re experiencing in their own lives, successfully. That’s the kind of stories I try to find, and it all comes down to performance. If you have a really good performance from that character, it translates. We commiserate, have compassion for those characters. TJ: I get that. And today it seems like oftentimes the family you have is a chosen one. And these people choose to do what they do together, and they’ve formed a familial relationship because of it. 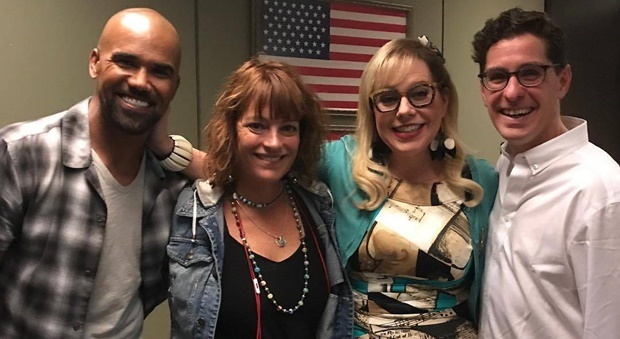 TMc: Yes, like with my last episode (Lucky Strikes), Penelope is dealing with her PTSD over being shot, and her family cared so much about what she was going through that they had Shemar’s character come back. That was a huge payoff for people because all anyone wants to know in their own lives are that someone cares for them. When they are in a dark period… I mean that’s what a hero is, right? Somebody who is there when you need them, but you don’t expect them to be there, and they help you through a really hard time. TJ: Do you read the scripts before signing on to the episode, or does it just depend on availability? TMc: No, what happens is when the show gets picked up, people will contact my management to see if I’m available for their season, and there’s a lot of moving things around to get the director they want. They ask about your availability for certain dates, then when they have all the directors they want for the season, then it becomes a puzzle to fill in the remaining slots. Sometimes when you like a director but they haven’t been on your show for a season it isn’t because they weren’t asked back, it’s because they’re not available. I remember one time FIVE shows were vying to have me come on, and it was the only time they all had a slot open. And sometimes the opposite is true, you say yes to a show, and then something you really want to do comes up, and you can’t do it because you’ve already made the other commitment. TJ: How far ahead of time do you usually have to commit? TMc: I used to be what I call a ‘fallout director’, I wasn’t at the top of the list and I just took whatever came, but it wasn’t great because I really couldn’t schedule my life. And then when I became one of the directors that would book initially, you can get booked six to nine months ahead of schedule, depending on when the show gets their pick up. So it can get crazy, and we all just travel from show to show like we’re little gypsies. The whole industry is all about relationships, and reputations. All your stars have to align, but you have to put in the work to have your stars align. 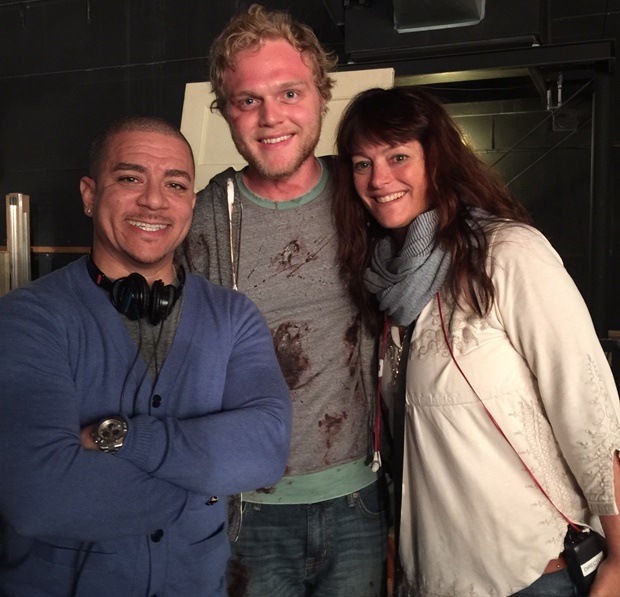 Marcus Stokes (director on 13×07, Dust and Bones, written by Erica Meredith) says that it takes a village. It’s true, you need to form relationships, but you also have to have talent and work hard. Everyone wants to direct, so it’s very competitive and there aren’t many programs out there to ‘get you’ into directing. People have to work their way up. Being an episodic director, unlike a feature director, there a whole political game that has to be played. You’re vying for a job that a lot of people want to have, so you have to be successful on a lot of different levels. It’s a mistake to think that the two types are the same, because in episodic, it’s a writer’s medium – I work for the writer. In features, it’s a director’s medium, the writer works for the director. TJ: I’ve never heard it put quite that way before, that’s interesting and makes a lot of sense. Do you ever find yourself wanting to get more involved with the writing process at all? TMc: Yes, I’m a writer’s daughter, so I do think my next phase will be trying to get into the writer’s arena. My father was proficient at everything, except at directing. So I think I felt comfortable being there, so as not to have to compete. Another thing is that I feel what makes me a good director is that I’m a writer too. I understand and can speak to writers in their language. Some directors will come in and they will talk in ‘shots’. And they’ll talk to actors in shots. And the actor is like… “No, I want to know what I’m feeling.” It’s one of those things where some directors only speak their own language, they’re missing out. It’s very hard for the actor to translate, sometimes. It’s my job to get everyone to understand where we’re going and why we’re going there. I’m known for being an actor’s director, too. I credit Roxanne Dawson for that. I had this shoot on NYPD Blue where this adult autistic son kept attacking his father and the father couldn’t figure out why. Turns out the kid was hiding in the closet and saw his father kill his mother. I freaked out because I’d never directed anything like that so I called her and said “What do I do?” She said “read this book called Acting for Directors, by Judith Weston.” I read the book, and it completely changed my whole directing approach. It had a lot of quotes by famous actors, and it was really helpful regarding talking to actors. You have to give them something actionable. Don’t tell them to just ‘pace it up’. Tell them why they are doing what you need to see. I like to be able to help them get where they need to go instead of just telling them to do something. TJ: See, I wish I had known that this was your style when I was watching you direct AJ and Kirsten in that hallway scene in Lucky Strikes, it would’ve been cool to notice that. TJ: Had you watched Lucky to prepare, or did you prefer to go in cold? TMc: No, something like that I really like to prepare, so I watched both Lucky and the following episode, Penelope, because her journey continues in the episode after the original Lucky, and I needed to know where her head was at, and what emotional state she was in afterwards. Jim was actually really great because those were real cases that he had worked, and so he told me all about it and it was fascinating. TJ: Fans noticed the omission of the song ‘Sittin in the Dark’ by Louis Armstrong, which was pretty iconic in the original episode. Can you share why it was left out of Lucky Strikes? TMc: Y’know, I really don’t know, I don’t choose the music, but it may have been a conscious decision, or maybe too expensive. You should ask Jim! TJ: I should ask Jim! Did you find directing a legacy UnSub any different from the others? TMc: No, and he was amazing! One of the funny things is he’s gone vegan. For about six months he’s been vegan and he had to eat that turkey leg! We tried him not biting into it but that didn’t… but then he loves the character so much he bit into it. The one that we used he did actually do it. He can’t be a vegan cannibal! TJ: Do you consider yourself a fan? Do you have a favorite episode? TMc: I am a fan! I do love all my episodes, but I think Protection is my favorite just because of how deep I was able to get into the psyche of the UnSub. Was really proud of being able to take this monster and turn him into an actual person. It could’ve gone another way, but I felt like at the end of the episode that there was sympathy for him even though he was doing these terrible things. TJ: The sympathetic UnSubs are always the most interesting to me. TMc: I think also that sometimes you have an UnSub that you don’t get to know very well. And with Protection, the whole episode was about him. TJ: What do you feel is the most memorable thing about directing Criminal Minds? TMc: The people, you know? I love working for CM because of the people. It’s my favorite place to work and there’s such respect for the director there. The director is really appreciated for the job that they do and you don’t get that on every show. And that’s really a tribute to Erica, Breen, and Harry, and Glenny. They create a place where you can be creative and be safe. They’re like one of the few shows that expect you to cut the episode to time. If your episode is five minutes over, they expect you to cut it to airtime quality, and you’re trusted to deliver your version of the episode. That doesn’t happen on other shows. It used to, but now there’s a lot of distrust of directors. TJ: Why do you think that is? TMc: It’s a creative thing. You can easily offend a showrunner if you cut a scene they like. But working at CM, you don’t have to worry about making a bad choice, you can just be creative. TJ: That’s great to hear, especially coming from someone who’s directed multiple episodes and worked with those folks a lot. What are a few of the most valuable lessons you’ve learned from your successes, as well as the challenges, you’ve experienced as a director? TMc: That’s a big question! I think I learn something from every show I work on. I learn how to become a better director watching editors work. Because I see what they need and what they don’t, and also kind of what I can get away with. Knowing the little tricks they can do, to fix a problem. That’s great. Every show has its challenges, things you have to figure out. In episodic you’re on a train that won’t stop. It’s not like you can shut down production over a prop you didn’t get, you just have to figure it out. Also, I’m constantly learning. Whether I’m learning about a job that a character has that the whole episode is based around, or something like that. It makes me a stronger director if I say… missed a shot, or over-noted an actor and stalled out his performance. I get better at what I do with each job because I’m always learning. We’re human and just because we’re the director doesn’t mean we can fix everything. Just because I get the title of ‘director’ doesn’t mean I’m any better than any PA on set. I’ve been a PA and a director’s assistant and I’ve worked those long hours. I appreciate everyone we work with because they’ve all worked really hard to be there. I hate it when I hear about fellow directors that are not kind. We’re all just people trying to do what we love. TJ: That’s really relateable and genuine, good to know, thank you. As busy as you are, is there anything else that we can look forward to from Tawnia McKiernan? I’m going on another Supergirl, then Black Lightning, and a reboot of my father’s show Greatest American Hero but this time with an Indian woman who finds the super suit! TJ: I just heard about the reboot but I didn’t have any details! This is so great, I loved the original. TMc: Yep! Should be fun. TJ: So, as we wrap up, we’ll sometimes do word association with the cast for fun. You game? TJ: So will we be seeing any Tawnia McKiernan novels in the near future? ← Promo and Pics for Criminal Minds Episode 13×06, “The Bunker”! Awesome, thanks! I will as long as they will!